It just got easier to invite your friends and family to join OhmConnect. What is the OhmConnect contact card? What does the contact card do? 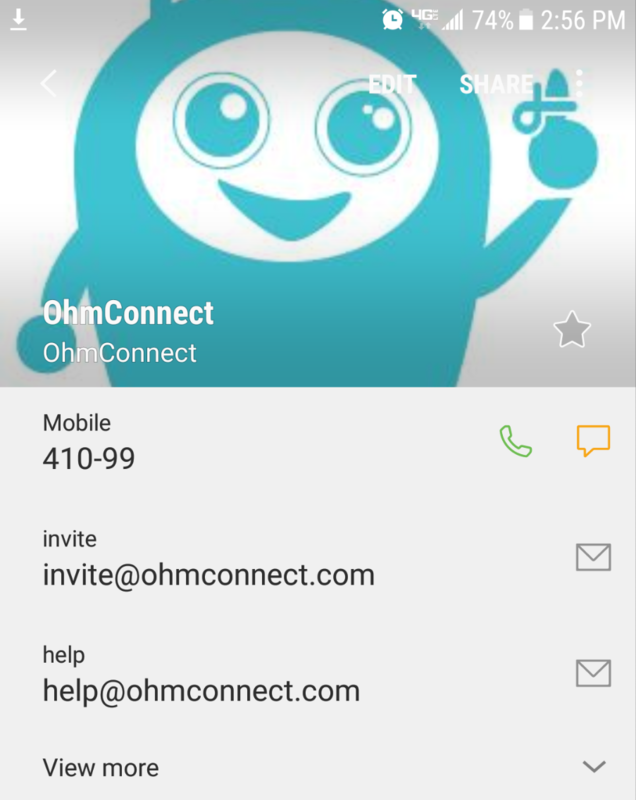 Once you have the contact card on your phone, all your current and past #OhmHour notifications and other #OhmConnect messages will be conveniently stored in your text record under this new OhmConnect contact. It also makes it even easier to refer your friends and family to OhmConnect. What can I do with the contact card? The OhmConnect contact card makes it easy to invite friends and refer them to OhmConnect. When they successfully connect to their utility, hit Silver status and begin to participate in #OhmHours, you can get $20.00! 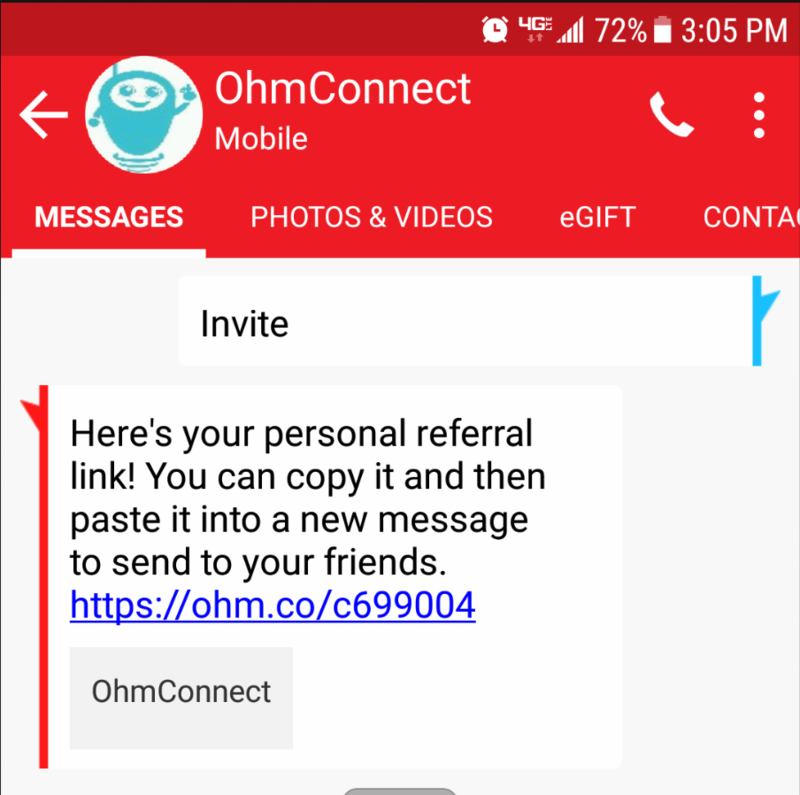 Just text "invite" to this contact to retrieve your unique referral code so you can refer your friends to OhmConnect. Now you have an easy and convenient way to invite your friends and family to OhmConnect right from your smartphone!